Are Your Flu Shot Reimbursements on Target? - E Central Medical Management, Inc.
Are Your Flu Shot Reimbursements on Target? 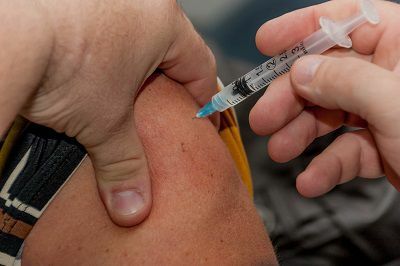 Influenza has not become prevalent in the community yet, but flu shot season is in full swing. The Centers for Disease Control and Prevention recommends routine annual influenza vaccinations for all those over the age of 6 months who do not have contraindications. Ideally, patients will be vaccinated by the end of October, or prior to the onset of flu activity within the community. The full CDC report, updated for the 2018 – 2019 flu season, can be found here. As you administer vaccines this season, it is critical that you properly code for the procedure, using the most precise and current CPT code, in order to ensure that you receive the appropriate reimbursement. It is important to note that codes change and new ones are added each year. Rates range from $9.403 for CPT code 90687 (Sanofi Pasteur Fluzone Quadrivalent Pediatric) to $54.673 for CPT code 90653 (Seqirus Inc Fluad). Contact us for the current CMS list of payment amounts, CPT codes and effective dates for this season. Do not overlook yourself and your staff when administering influenza vaccines this flu season. The CDC recommends that physicians, nurses, and others who work in inpatient and outpatient settings, including nursing homes, should be among the highest priority recipients of influenza vaccines. By keeping yourself and your staff healthy, you contribute to the overall health of the population you serve. If you have any questions about coding or billing as it relates to influenza vaccine administration, E Central Medical Management is here to help. Contact us by email or telephone to receive a complimentary review of your current practices.